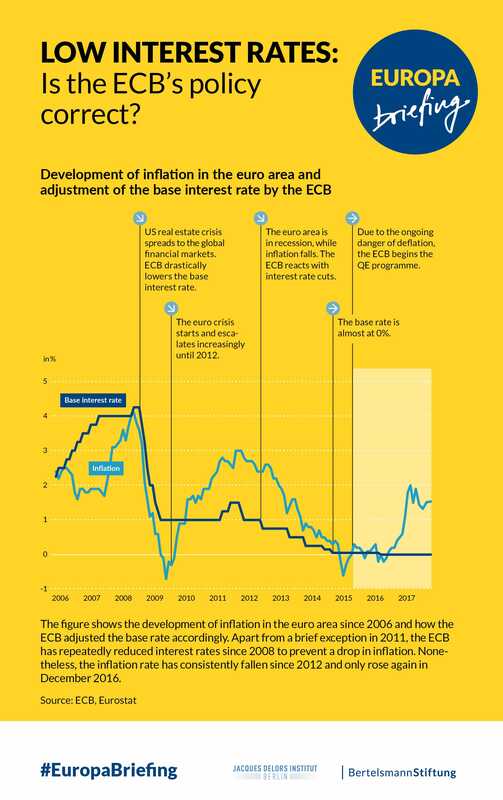 GED Blog » Improving Public Understanding of Economic Globalisation » Is the ECB’s Policy of Low Interest Rates Correct? Is the ECB's Policy of Low Interest Rates Correct? Over the past year, the ECB has implemented a low interest rate policy in order to revive the economy and stabilise inflation in the euro area. This includes an asset-buying program known as quantitative easing or QE. This briefing examines both benefits and risks of such a policy. How imminent are such risks and what other options for governments could there be? To get a better understanding of how it all works, simply click on the download window above to read the full brief.